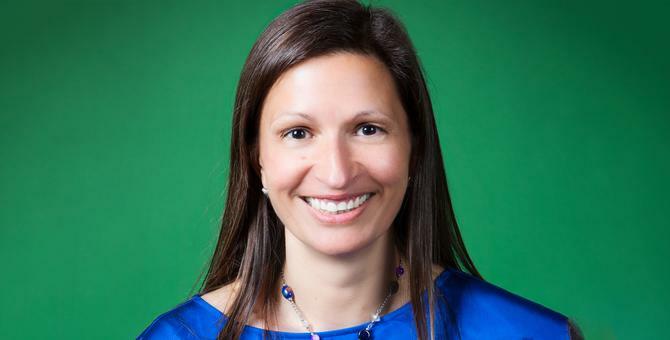 SurveyMonkey’s new global CMO, Leela Srinivasan, talks about transparency, technology, and how now is the time of the marketer. Rapid technological change and innovation is seeing demand rise for hard-to-hire skills sets in marketing, particularly around technology. But marketers equally need to ensure humanity if they’re to build sustainable brands and growth. Barely having had a chance to get her feet wet, this is the view of newly appointed CMO of SurveyMonkey, Leela Srinivasan. Srinivasan’s appointment comes at a time of rapid growth for SurveyMonkey. The business underwent a complete rebrand less than a year ago as it prepares for an expected IPO later this year. Her recruitment also follows the appointment of CEO, Zander Lurie, in January 2016 following the death of former CEO, David Goldberg, in May 2015. The company, now valued at around US$2 billion, has been operating for 19 years, and has 3 million people using its platform daily. It has about 750 employees and growing. Srinivasan was previously involved in the growth of cutting-edge recruitment software business, Lever, and was also VP of restaurant and product marketing for OpenTable. Prior to that, she was at LinkedIn for four-and-a-half years, in advance of its IPO and in the talent solutions business, which became the professional social networking site’s largest and fastest growing division. Having watched LinkedIn grow from a small company to the powerhouse was a career highlight, and she looks forward to seeing where SurveyMonkey can go in the future. Her plans are lofty, and include evangelising the SurveyMonkey brand to a broader global audience, building a cross-functional marketing team, and furthering its mission and growth. “At LinkedIn, I joined in a product marketing role, then as a marketer for talent solutions, which became the juggernaut of the business, but I also worked in content marketing, and ran the global conference Talent Connect, which draws about 4000 people to Vegas every year,” Srinivasan explained. These tools include SurveyMonkey Engage, which aims to assist HR managers with employee engagement; and SurveyMonkey CX, a tool for marketing leaders and CX leaders to understand how their customers are feeling and thinking; and Audience, a global market research solution and panel. As Srinivasan pointed out, the industry is at a fascinating time from a marketing and CX standpoint. Marketers have had to develop a broad range of skills, and those who have the correct skillsets are in high demand. Technology, a vocal customer with a variety of platforms, and the delicate balance between technology and human emotion, are just three of the changes Srinivasan sees being the most impactful to her success over coming months. “There’s an unprecedented level of transparency into what your customers are thinking, saying and feeling, and if you’re not listening to that proactively and really tapping into it and leveraging it to deliver better, more effective, and more relevant solutions over time, and to service your customers in the right way, you’re missing a trick,” she explained. “Because they’re out there telling the world on Twitter and everywhere else. Srinivasan noted Gartner’s research five years ago, which claimed the CMO will be outspending the CIO in terms of technology by 2018. “We’re just about there. It’s incredible how technology has changed what’s possible in marketing,” she continued. Technology is definitely continuing to accelerate what is possible in terms of marketing. It’s finding the balance between what technology can deliver, and ensuring the voice is authentic and real and resonates that’s key for CMOs. “That’s balancing the art and science, which makes this such an amazing industry to work in,” she added. For Srinivasan, the marketer’s moment is now. If they can become the closest executive to customers and really understand the pain points and challenges and what their worlds are like, then bring that insight back into their organisations, they can be the smartest person in the room and add real value to the company, she said. Meanwhile, Srinivasan is concentrating on what she hopes to achieve for SurveyMonkey. “Most of the world is very familiar with the brand, what I see in the future is us continuing where individuals and the world understand the power of the enterprise and business solutions we offer,” she said. “I’m really excited about the opportunity to help go beyond the playful exterior and really understand what SurveyMonkey can do. Of course, the focus on building companies in a diverse and inclusive way is key. I’ve been very fortunate to work in those kinds of companies, and it was important to me to see that reflected in SurveyMonkey.